It’s almost been a year since we started creating our monthly Limited Edition tees and tank, but this one … it takes the cake. How stinkin’ cool is that?! 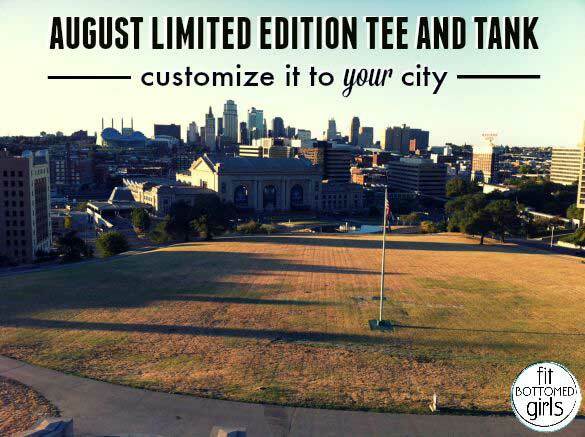 With this month’s Limited Edition Tee and Tank, you can customize the city to fit your location and your style. I’m a Kansas City girl — born and raised. I love my city and [obvously] I love being a Fit Bottomed Girl, too. It’s very simple to do. All you do is click on the product you want. Under the picture of the tee or tank, you will see “Change Text” — click that. Once the window pops up, click on the city text box and fill it in with your city (or high school, college or whatever pride really!). You can change the text color, shirt color and the text alignment as well. Now, head on over to the FBG Store and rock that pridefulness! We’re even giving you guys a full month of free shipping (through August 30 with code FITDELIVERY) to help celebrate these epic tees and tanks! We love Spreadshirt because anyone can make their own custom T-shirts! 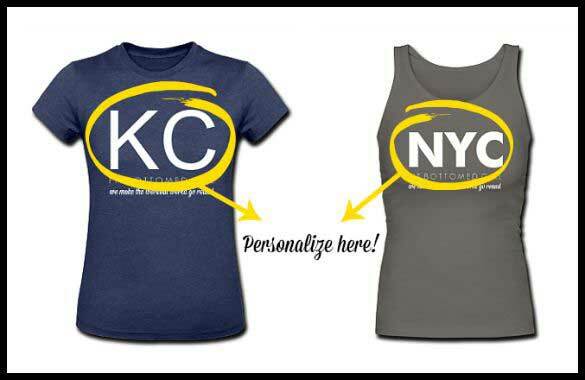 And, once you receive your tee or tank, we want to feature you on our Twitter and Pinterest page! So, snap a selfie and tag us on Twitter (@FitBottomedGirl) to see your beautiful face on our social media. Cali girl FTW! This is a great customizable tank!